To create your new account, please choose your agency . If you don't see your specific agency or location listed, please choose the 'Other Agency/Location' option. To retrieve your ID or password, please choose your agency . FedStrive's Employee Assistance Program (EAP) is on call 24/7 to provide counseling for you and your family at no cost to you. a personalized wellness plan tailored to your individual health and wellness goals. It all starts with health. Welcome to FedStrive, an integrated health, wellness, and work/life balance program, designed to help you reach your goal of a healthier and more balanced life. 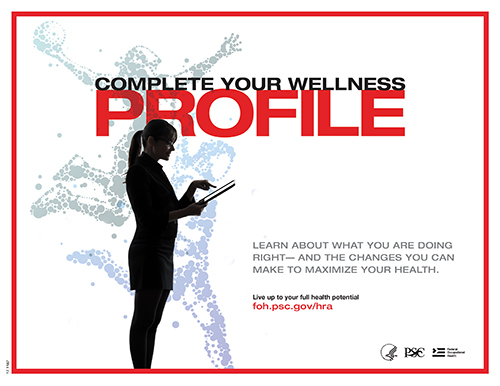 By examining your health-related behavior and health history, your Wellness Profile can help you take control of your well-being by identifying potential health risks. To complete your Wellness Profile, just click on 'Create New Account' in the upper right corner now. Celebrate Spring and find the joy of being physically active with FedStrive's Spring Into Shape Challenge! This three week challenge promotes active lifestyle habits to inspire you to be healthy and happy. Don't miss out on timely program updates, interactive tools, and resources!